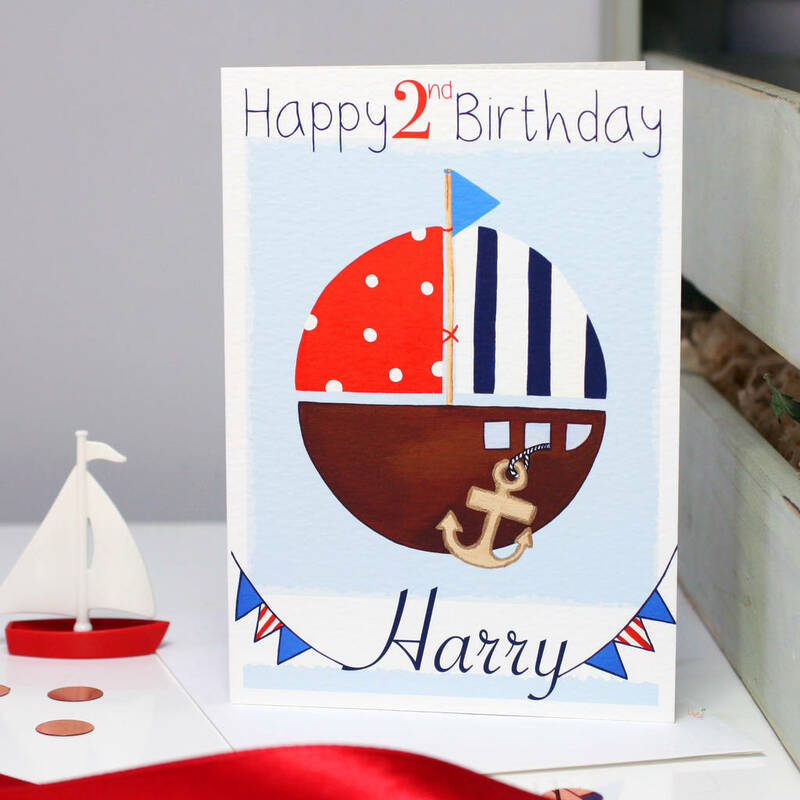 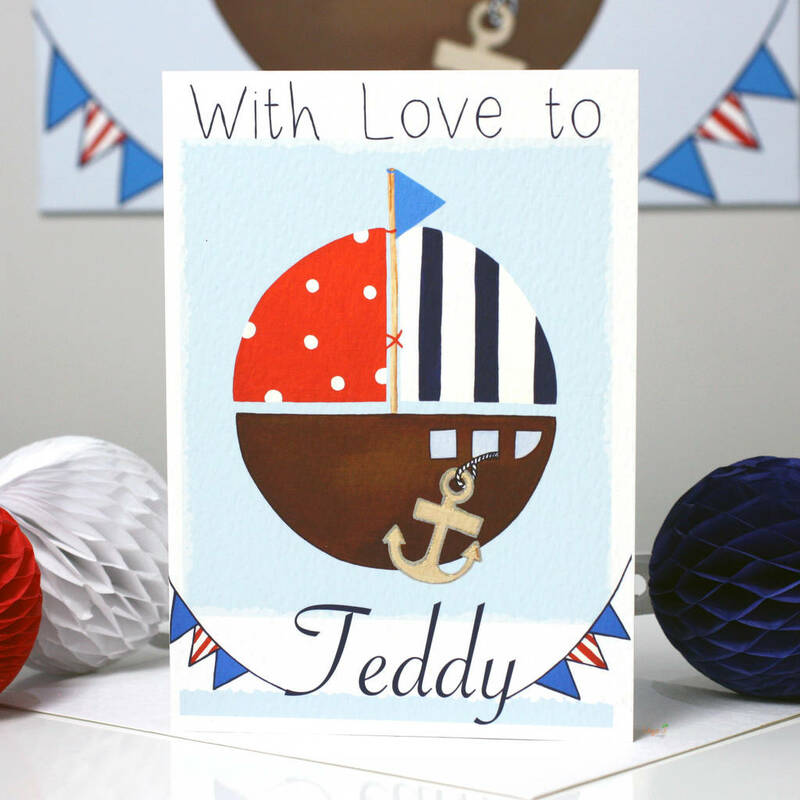 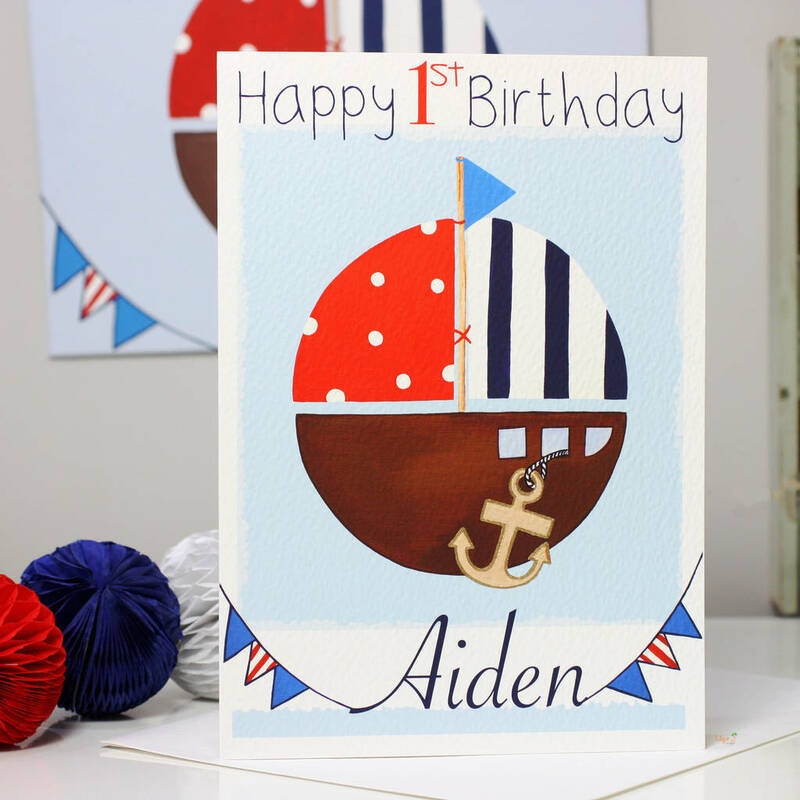 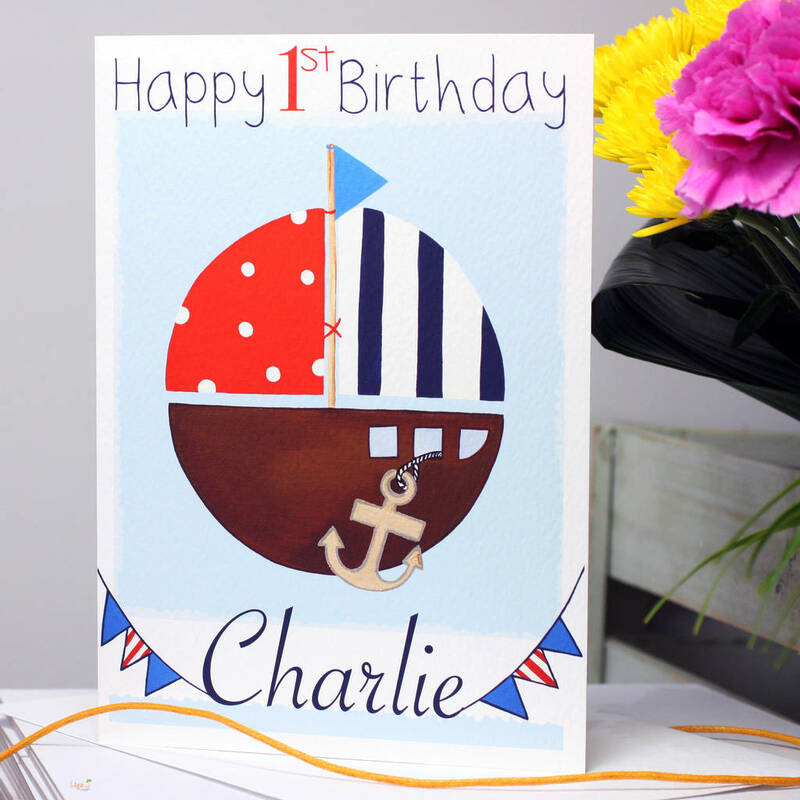 A personalised nautical boat greeting card with your choice of name for any occasion; children's birthday, first birthday, second.. or just 'with love to'. Finished with a hand painted metallic gold detail on the anchor, this boat greeting card would suit any occasion; a child's special age birthday, their first, second, third birthday...or just to send your love, it is personalised with their very own name on the front and special age or date if required. 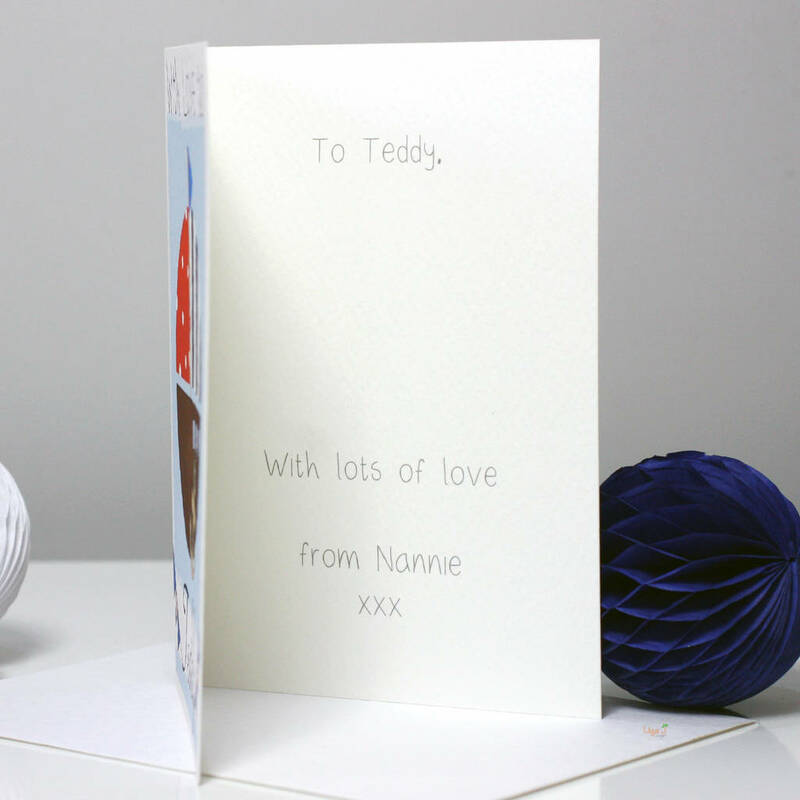 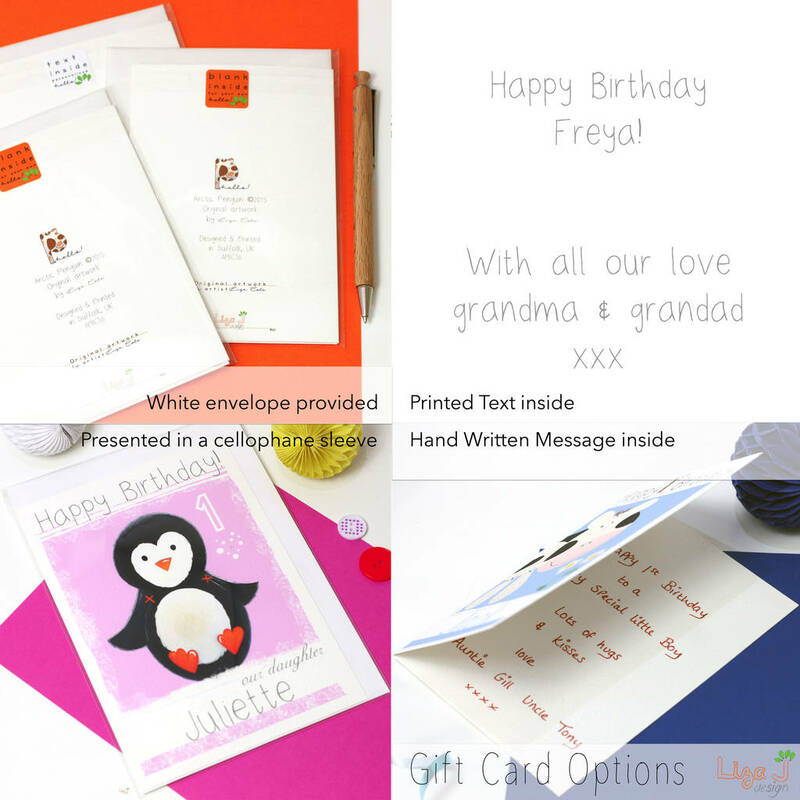 Personalise with a name and an age/ date if required. 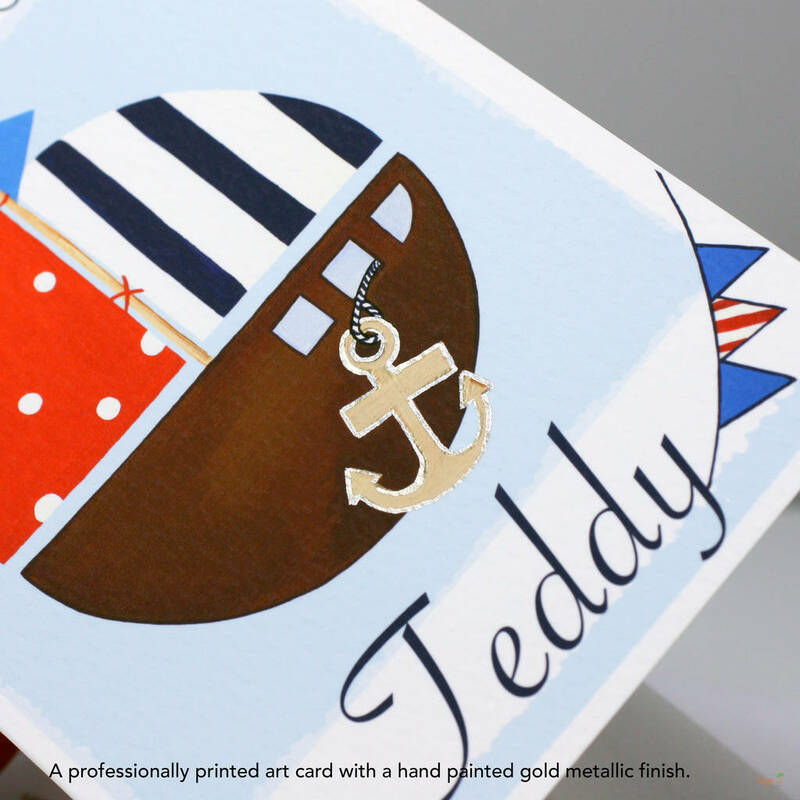 An original artwork by Liza J design reproduced as a giclée high resolution fine art greeting card using archival pigment inks.